Kim Maund is the Head of Construction Management. She brings with her more than 15 years experience working within the development and construction industry. As Head of Discipline and Lecturer in Construction Management, Kim brings a diverse background and passion for policy and planning to the role. Evaluating the efficacy of policy introductions and amendments, Kim is seeking to effect real change and narrow the gap between what regulatory authorities propose and what eventuates to reduce fragmentation and ultimately affect positive change. In addition, she considers new and evolving policy directions as a way to solve many wicked problems facing society. Kim believes policy extends “far beyond” the written word and therefore has no bounds as to the areas it impacts. The same could be said about her research on the subject. Afforded a myriad of opportunities to be involved with the “full spectrum” of policy areas throughout her professional career, Kim has since brought this expertise to academia to inform her research. From issue identification and formulation through to implementation and evaluation, the hard-working scholar is continuing to build upon a solid knowledge base. Academically, her work has been published and presented at national and international forums with her winning multiple best paper awards. She supervises numerous PhD students on topics related to policy including flood mitigation and waste management. Kim has worked on multiple funded research projects including an Office of Teaching and Learning grant in collaboration with University of Queensland and University of South Australia involving 4-D learning environments to maximise student learning across multiple disciplines including the realm of building surveying. Kim’s interest in policy has seen a recent shift towards its use within the domains of emergency management planning and protocols using virtual environments. Kim’s PhD research has informed her current work, which now has a more finely-honed focus that utilises her background in policy frameworks and building surveying: specifically fire safety. With a focus on resilience and emergency preparedness, Kim’s proactive approach to planning is the way of the future. 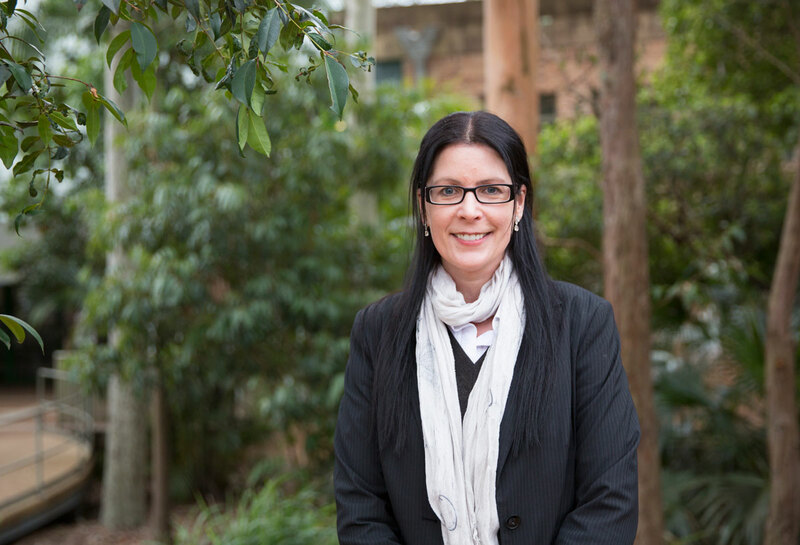 As a founding member of the Built Environment, Health and Aged-Care Group (BHA), Kim is currently collaborating with researchers in her Discipline and across UON from the School of Electrical Engineering and Computer Science and the School of Nursing and Midwifery to use virtual reality technology to inform emergency management policy and practice, particularly with regards to residential aged care facilities. The intent being to increase preparedness, improve response and resilience during disaster situations. By 2020, it is estimated that the demand for residential aged care will increase by more than 50 per cent, and yet planning is still often based on outdated, standardised templates with minimal training. Furthermore, the nature of aged-care facility residents and disruption from an emergency evacuation means currently there is no way to practice facility-wide evacuations. In addition, the unique challenges afforded by these environments are not addressed by aged care homes built to a standard template and then retrofitted as problems are raised. Aside from being a costly exercise, it can also prove a danger to residents, staff and firefighters. Kim believes that optimal planning needs to explore how a building will be used, and also how it responds to emergency situations such as fire or other disasters. “We can use virtual reality technology to explore and prepare staff for any type of emergency scenario and to develop and train policy and procedure. In addition, there is the opportunity to plan buildings for optimal functionality,” Kim says. This work may also inform planning for hospitals and other health care facilities: anywhere that usual movement is hindered due to age or impairment. Taking the technology from gaming and using it in construction, planning and policy will be a key focus for Kim’s research moving forward. It’s an exciting opportunity with international potential – and one to watch.